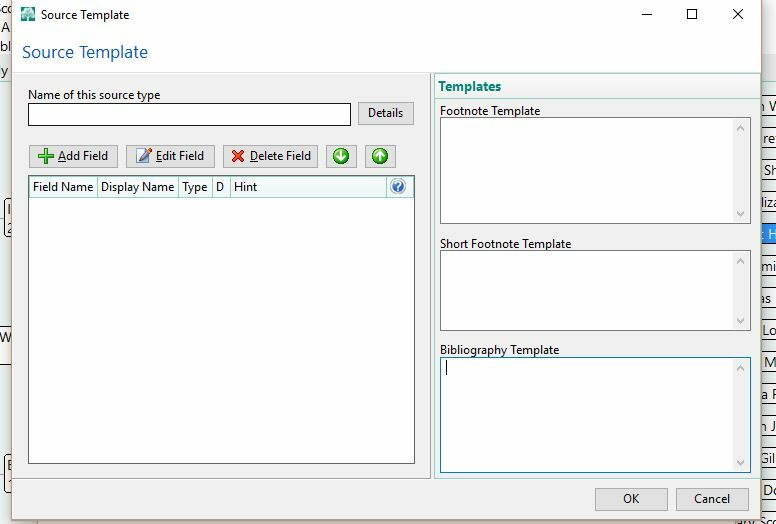 Creating Source Citations in RootsMagic 7 – Post 1: New Master Source (posted 12 January 2016). Creating Source Citations in RootsMagic 7 – Post 2: Adding Source Details to the Master Source (posted 13 January 2016). 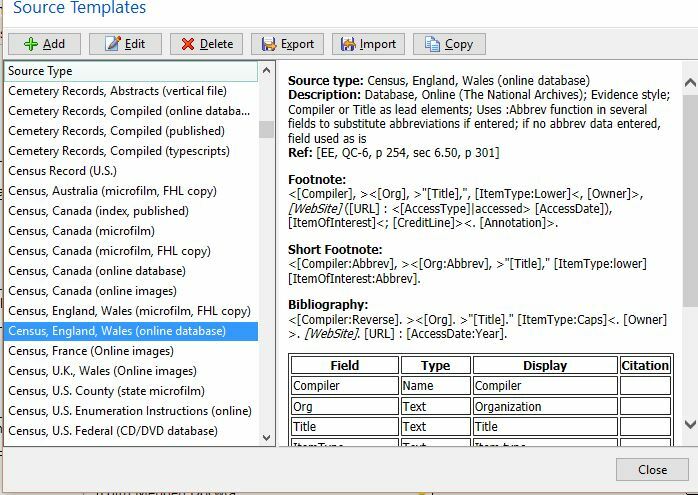 Creating Source Citations in RootsMagic 7 – Post 3: Adding Master Text, Detail Text, Quality and Repository Information (posted 14 January 2016). 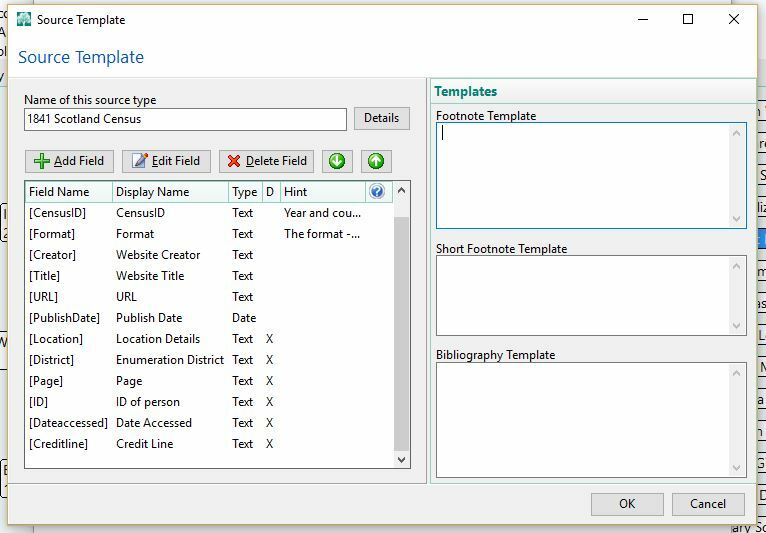 In RootsMagic 7, you also have the option to create your own source template, or copy an existing source template, and edit it. 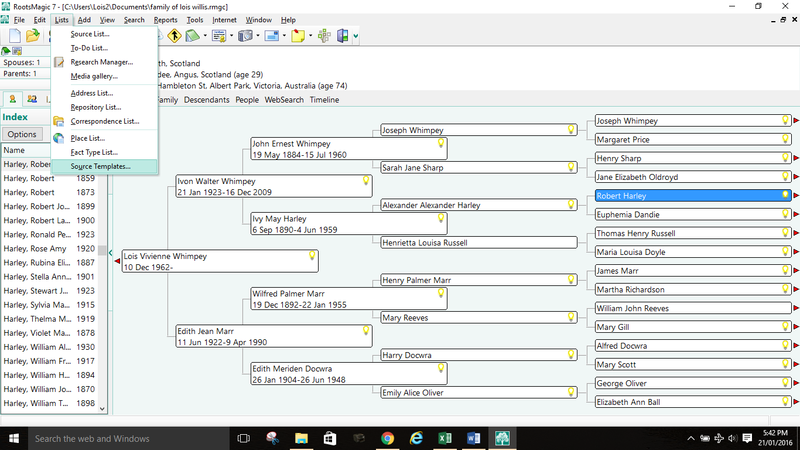 Since I have ancestors who came to Australia in the 1840s and 1850s from Scotland, they appeared on at least one Scotland census record. Many of them also had siblings, and other relatives, who remained in Scotland. This means that I have used the Scotland Census records quite a bit. RootsMagic 7 doesn’t appear to have any source templates for the Scotland Censuses. There is also a web page for User Submitted Source Templates at https://sites.google.com/site/rm4templates/ This page also doesn’t have a source template for the Scotland Censuses. 1841 census of Scotland, Angus, Dundee City, enumeration district (ED) 57, page 21, Robert Harly; digital images, National Records of Scotland, ScotlandsPeople (http://www.scotlandspeople.gov.uk/ : accessed 11 Jan 2011); citing 1841 282/00 057/00 021. 1841 census of Scotland, Angus, Dundee City, ED 57, p. 21, Robert Harly. Scotland. 1841 census of Scotland. Digital images. National Records of Scotland. ScotlandsPeople. http://www.scotlandspeople.gov.uk/ : n.d. 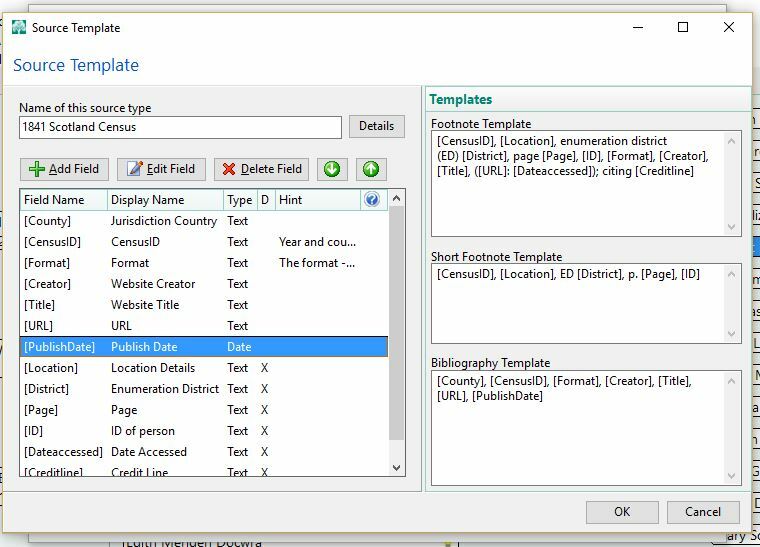 In order to set up the template, you need to know how the templates in RootsMagic are set up. This shows an example of how the current templates have been set up. 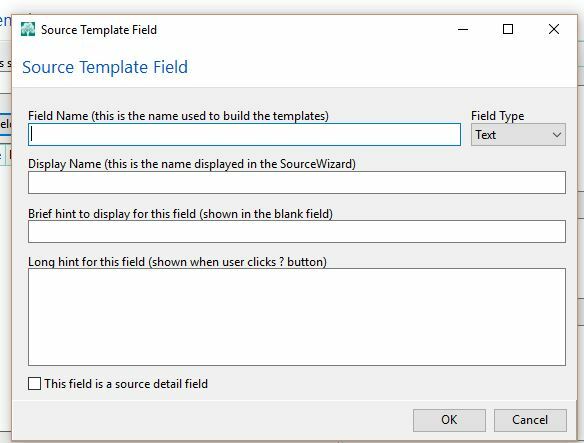 To indicate that the field is a source detail field, then I check the This field is a source detail field box. Now, it’s just a matter of moving the fields into the appropriate positions on the right side to match the Legacy template. Now that the source template has been set up, I’ll go in and enter the source citation. 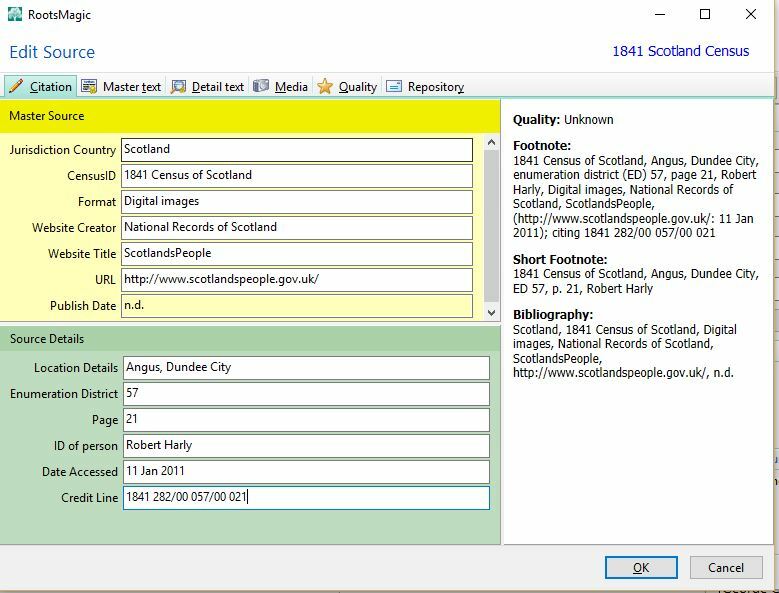 To specify that this master source is for the 1841 Scotland Census at ScotlandsPeople, I then name this Master Source “1841 Scotland Census (ScotlandsPeople)”. Robert’s brother John and sister Elizabeth were also on this census record, so the next thing is to copy this to their record. The only thing I need to change is the ID of person, so I’ll Memorize this citation, and paste the complete citation, and then edit the citation to change the name of the person. I could have also just put Household of Robert Harly in the ID of person field, and then just copy the citation to everyone in that household.